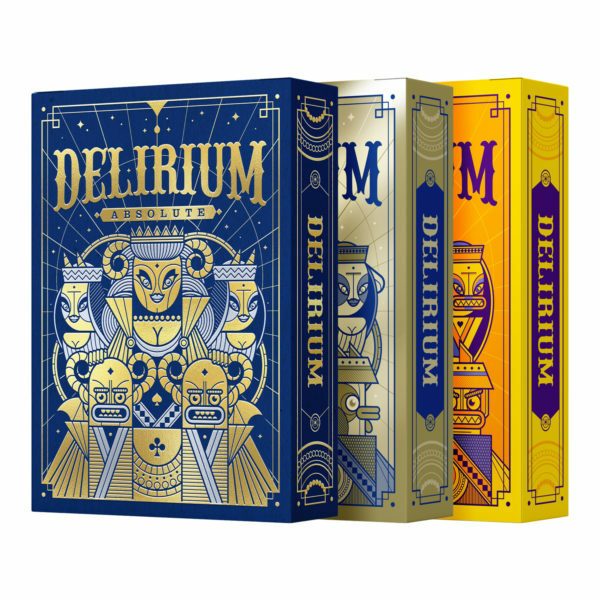 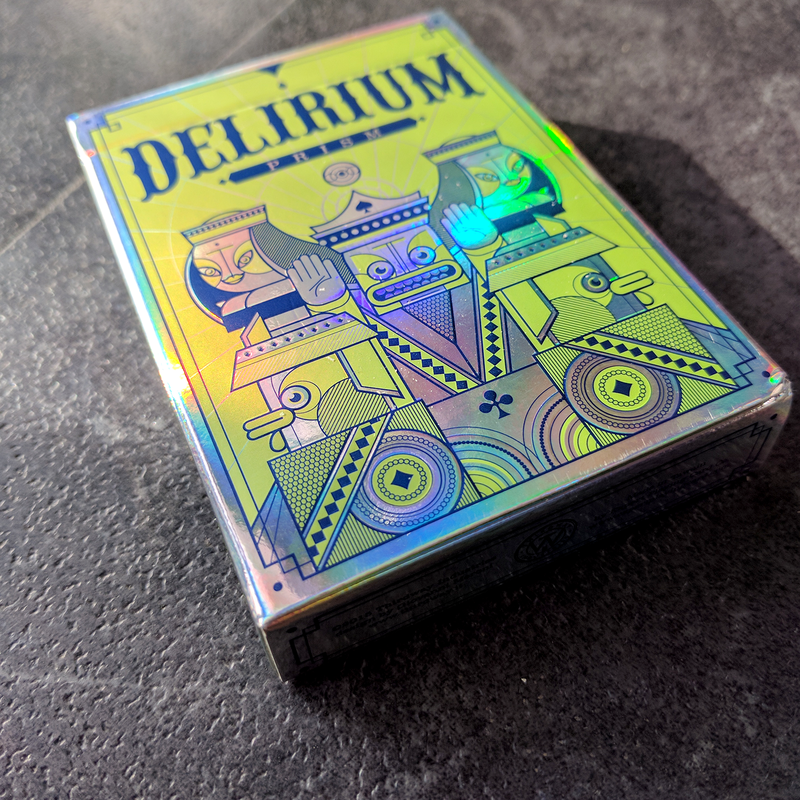 PERMANENTLY SOLD OUT – Delirium is completely sold out and won’t be available again. 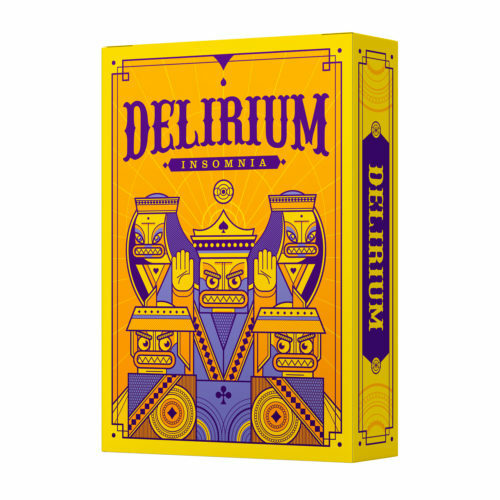 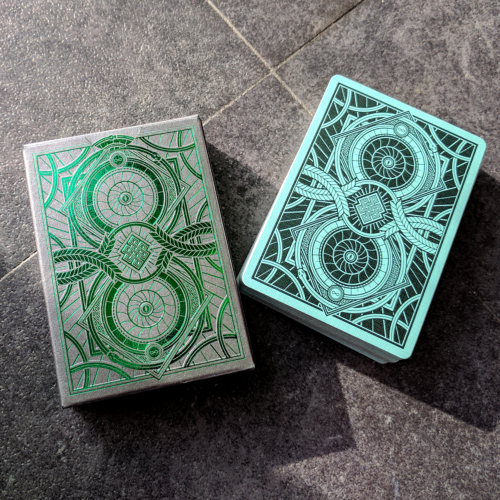 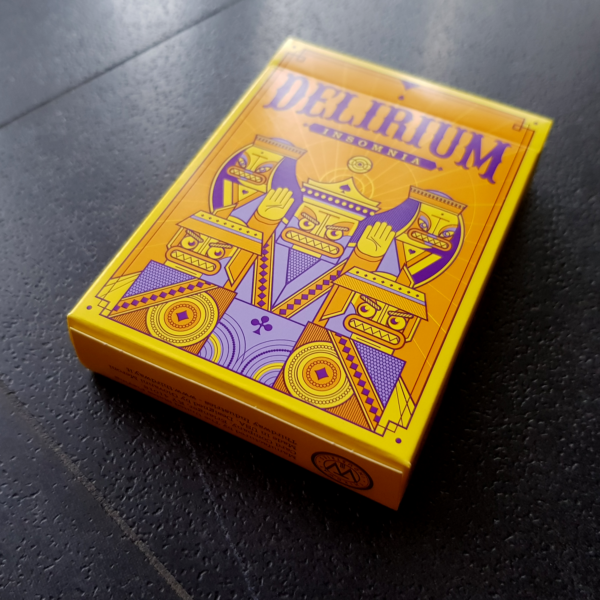 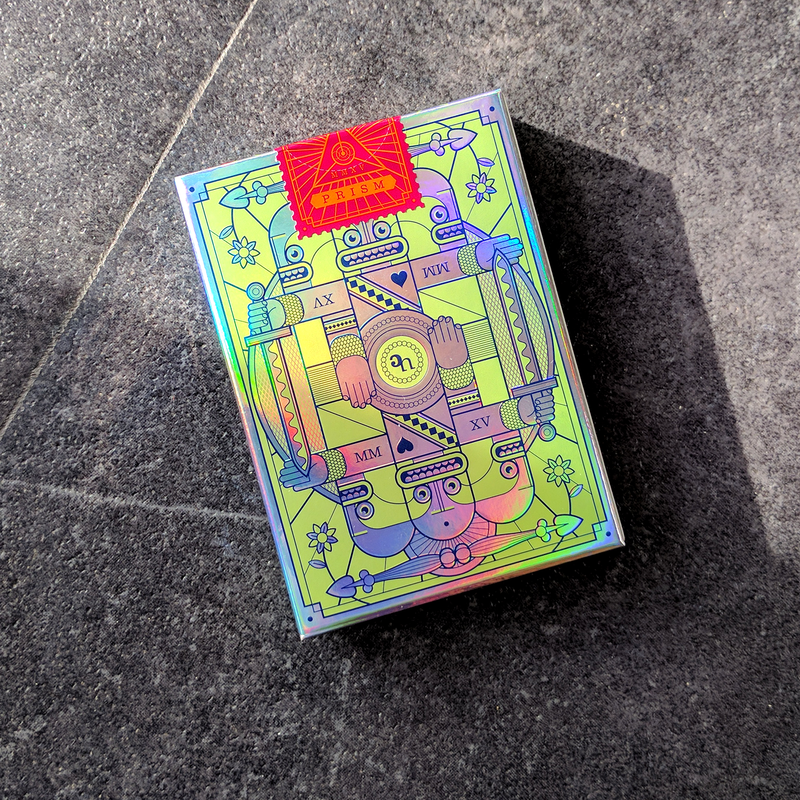 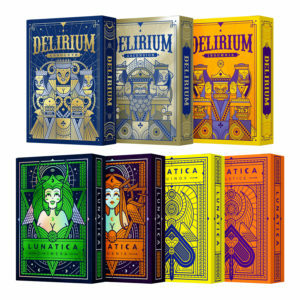 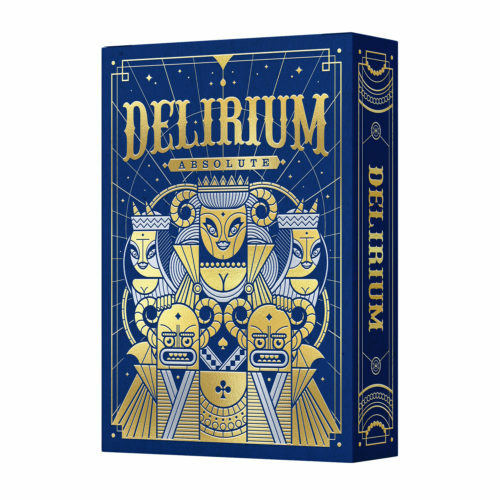 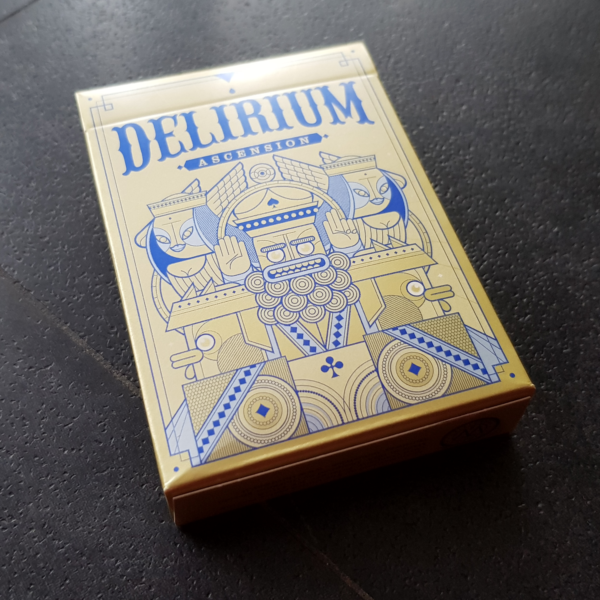 Delirium is an intricate but modern deck, strongly inspired by the classic french playing cards…with crazy twists. 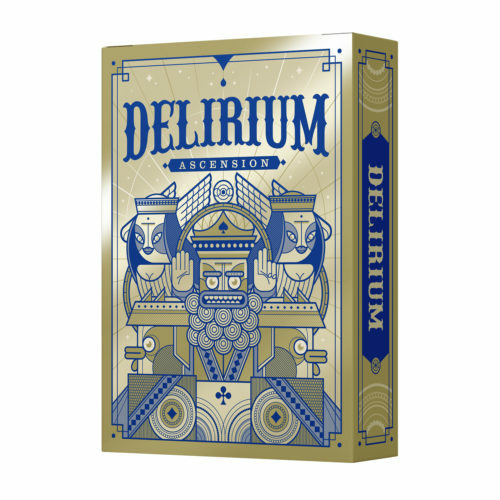 The crazy scene on the front of the tuck box depicts the Delirium King giving a speech, surrounded by his guards and his consorts. 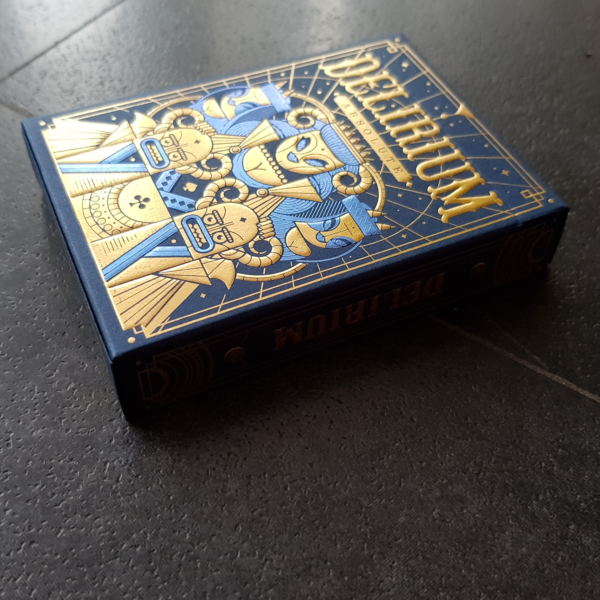 On the back there is a scene with the Delirium Gods of War. 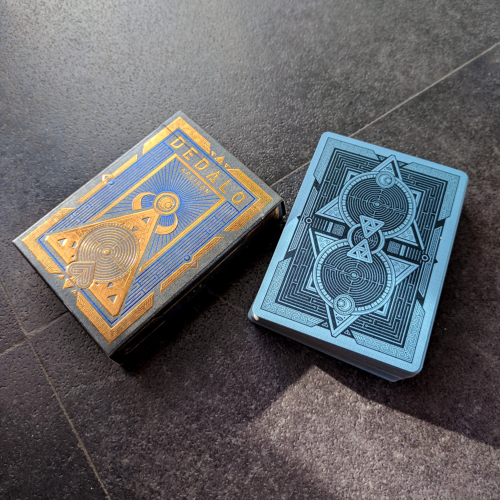 Spades and Clubs are blue and green, and Hearts and Diamonds are red and orange. 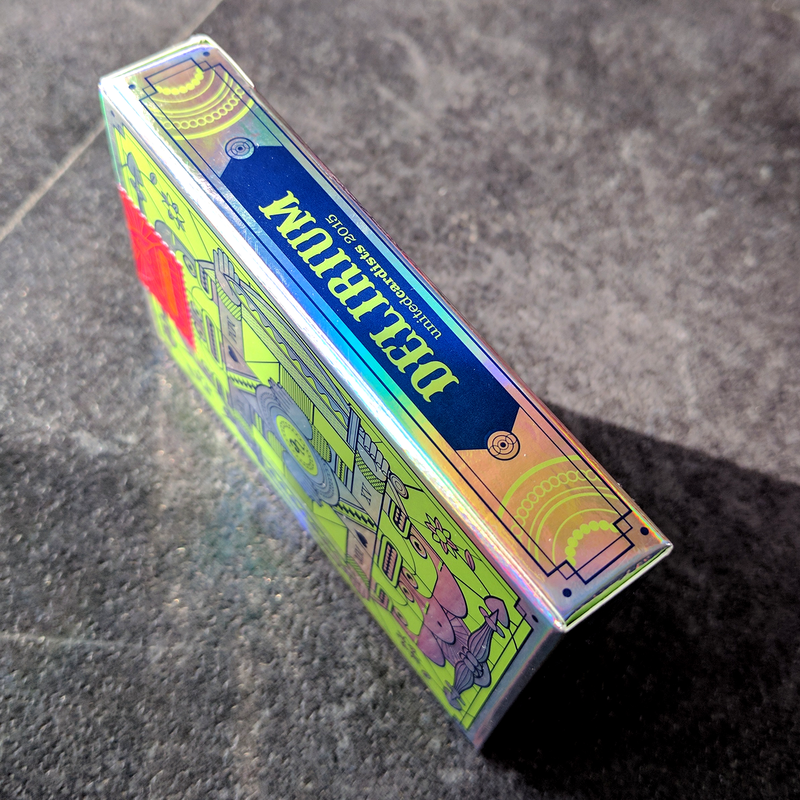 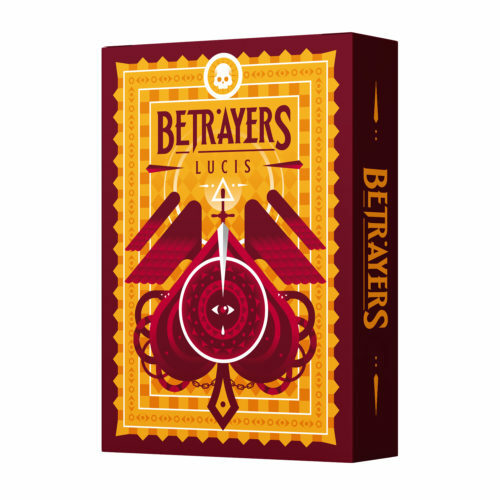 The tuck box is made with prismatic stock and is inner printed, embossed and with a custom seal. 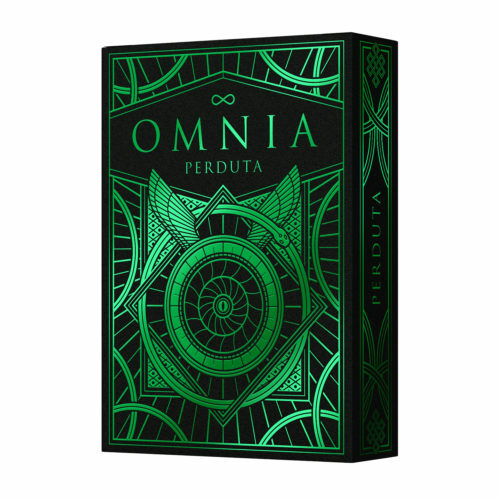 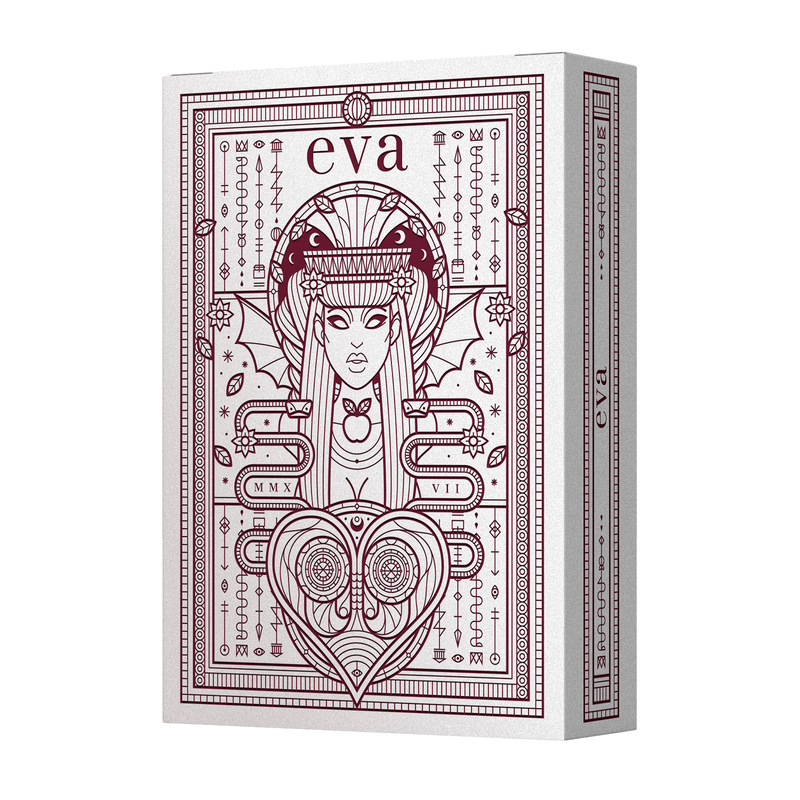 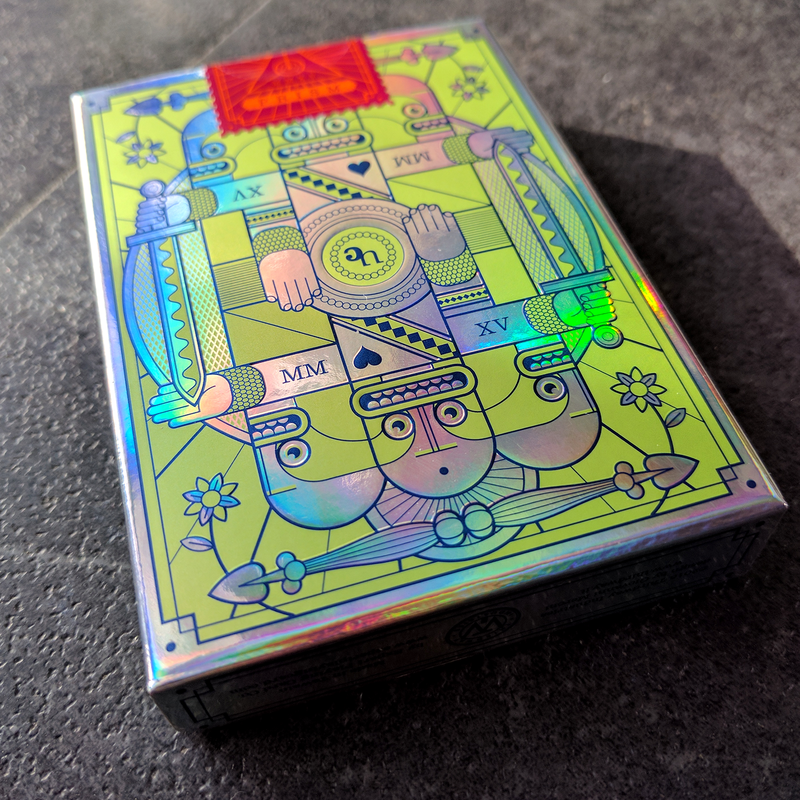 Printed by Expert Playing Card Co. with Master Finish. 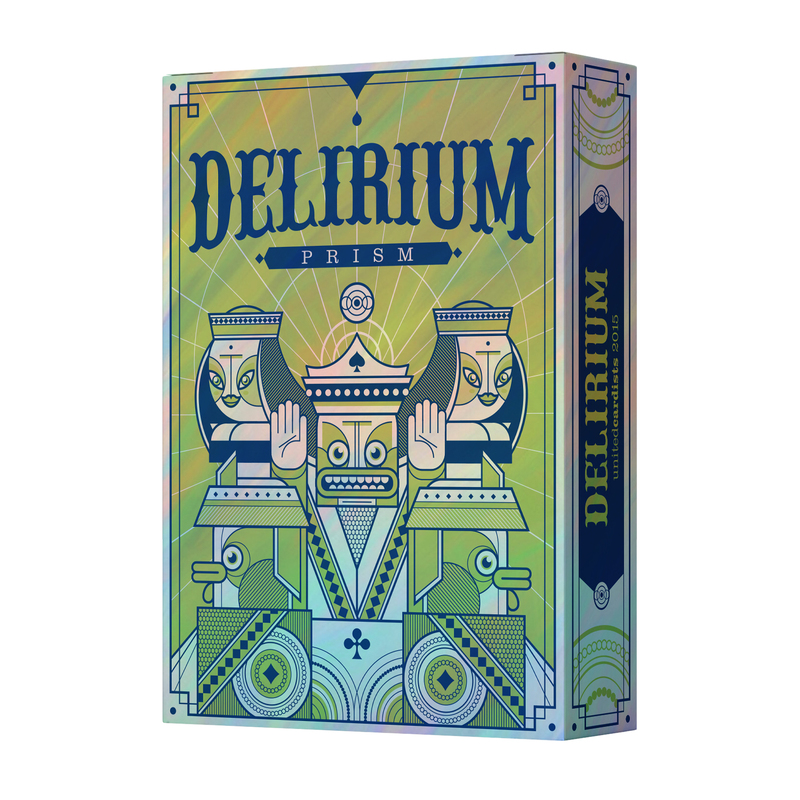 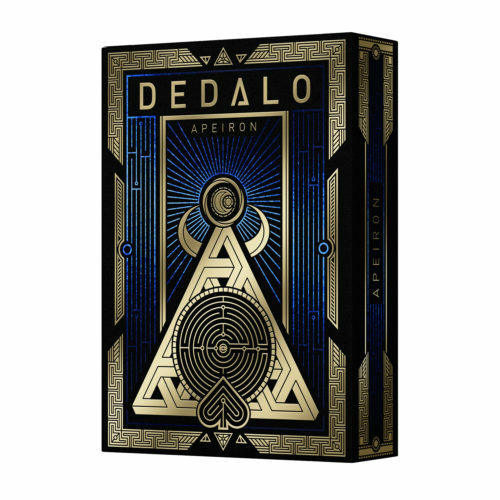 Delirium is chosen as the official 2015 deck of the United Cardists forum. 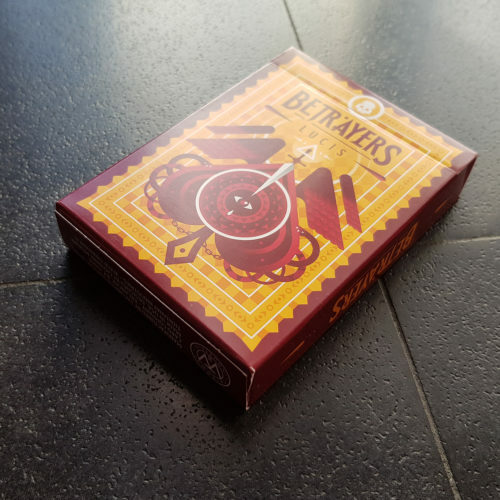 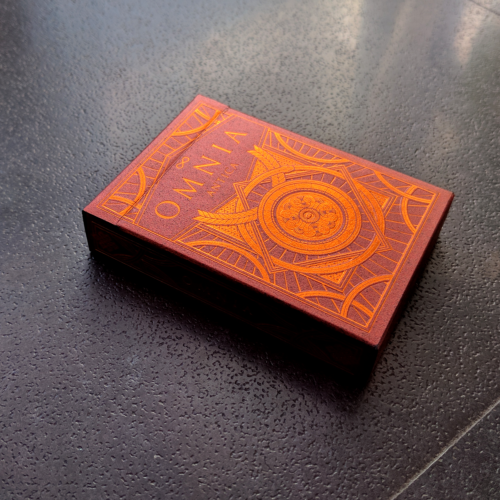 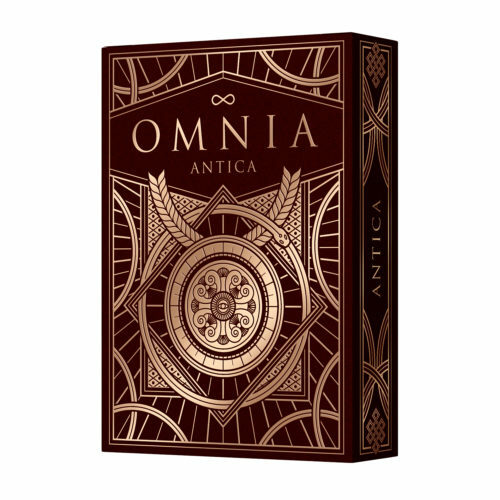 The first deck of Thirdway Industries funded on Kickstarter.